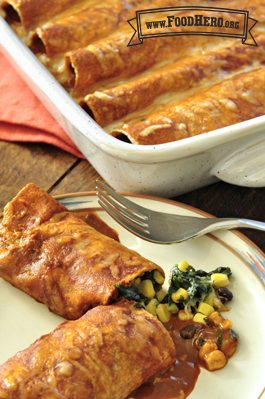 Serve enchiladas with your favorite hot sauce or salsa. Make your own enchilada sauce! Lightly spray a 9x13 inch baking dish, and add a small amount enchilada sauce to coat the bottom.